Published on YouTube, it accumulates more than 95% of negative votes and was used by Trump in his meeting with the industry. The White House continues to surprise with its witch hunt undertaken against the video game industry. 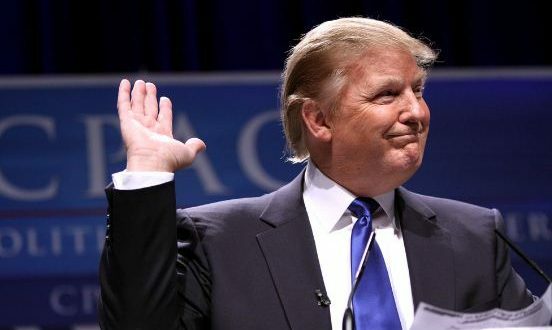 If you have followed this topic in recent weeks, the president of the United States, Donald Trump, recently showed his concern about the level of violence in video games. This was accompanied this week by a meeting with several representatives of the industry in the country where he showed the attendees the video attached to this news. “This is violent, right?” Commented the New Yorker, setting an example of the audiovisual document. Despite this statement collected by local media, The Washington Post collected different reactions from those present at the meeting, highlighting how Trump showed himself with an open mind to seek solutions for all parties, including the video game sector. However, that did not prevent him from showing his concern again, as he did other people present, mostly from the harshest Republican wing of the legislature, who in some cases demanded a stricter regulation of the contents of certain launches. “The meeting focused on whether violent video games, including those that graphically simulate a murder, desensitize our community to violence, ” the White House said in a statement collected by the specialized portal Polygon , said note also specifies how The US president once again insisted on the existence of studies that have found a correlation between violence in these products of entertainment and real violence . In front they had to the representatives of the industry, that denied this affirmation. Returning to the main video of this news, its content includes video games recommended for adult audiences: Call of Duty: Modern Warfare 2, Wolfenstein: The New Order, Dead by Daylight, Fallout 4 or Sniper Elite 4 among others. Its publication has not been exquiva to the community, and YouTube accumulates in a few hours more than 40,000 votes with a 95% negative reaction.